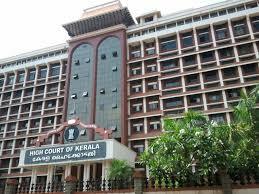 KOCHI: The high court on Friday asked the state government to formulate a special scheme for rehabilitation and protection of children whose parents are in jail in line with the child protective services in developed countries. A division bench comprising Justices Thottathil B Radhakrishnan and P B Suresh Kumar asked director general of prosecution T Asaf Ali to consult the government and take urgent measures on the issue, while considering a petition filed by a mother jailed for murdering her husband. In the petition seeking suspension of her jail term, the mother had pointed out that there was nobody to take care of her two daughters. The petition said she had two daughters, aged 11 and 18, and that she was anxious of their safety. The children had to stop their education and they were alone at home, she said. The court directed the government to come up with a comprehensive scheme for rehabilitation and protection of children in cases where parents are in jail and the children were not able to lead their normal lives for no crime of their own. It asked the DGP to study the UN conventions on rights of children and suggest ways and means to protect children of those detained. The UN Convention on the Rights of the Child of 1992 had declared that providing a standard of living adequate for the child’s development is a fundamental right of the child. However, the Juvenile Justice (Care and Protection of Children) Act, 2000, which is the most comprehensive law on child care in India, does not include children whose parents are in jail under its scope. The DGP promised the court to inform about the government’s stance on the issue after consulting the chief minister and officials.